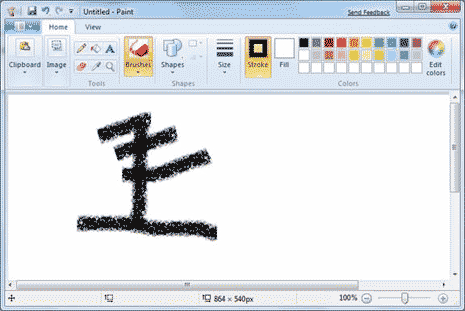 Inspite of looks makeover, MS paint is still meant for very basic image editing functions. There is no significant addition of new features to MS paint. With makeover existing features are more in your face and usable due to ribbon interface. See version comparisonÂ [via] of MS paint over different Window OS. So you’re simply bashing someone because he didn’t like the “incredible upgrade” Microsoft made to Paint. You say they are devoid of information. I don’t see any information in your post, Rodya. You said it was pretty, you said it was useful, you said it was “an OBVIOUS improvement”? Come on. The first is arbitrary, the second one is fake, and the third one is just ridiculous. You didn’t specify in the least WHY is it better. Just bashed the person who doesn’t share your point of view. Do you know how is that called? Ad hominem. You simply felt the necessity to argue with someone in the internet. What a bigot, huh? Don’t joke! It is the worst piece of crap ever. I am using Openoffice in my office thanks to the Ribbons.